Click on the PDF's below to see the results. On the day Akhtar Khokhar made detailed results sheets containing all results including individual game points breakdowns. These will be uploaded shortly. Open the files below to see the draws. The top file is the schedule for the day's matches! 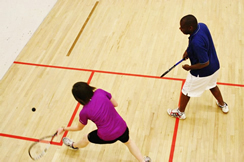 Spirit of the UK-Racketball Series – All our events are competitive but they are also fun. Lets should be lenient, strokes only rarely given. If you would like to play in the final event of the 2016 Series enter now. Entries close at midnight tonight, Monday 21st November! Draws will be released tomorrow, Tuesday 22nd November. Schedules will follow on Wednesday 23rd November. To give players a rough idea of start and finish time, first matches are likely to start at 10:00 / 10:30 the finals should be around 17:00 / 18:00 but this will depend upon last minute entries! Wycombe Squash and Racketball Club is hosting the eighth and final event in the 2016 UK-Racketball Series on 26th November. Having held an event here for the past 4 years, we are anticipating high demand and with this being the final event of the year, do not delay in securing your entry as soon as possible! Since its introduction in 2012, the Wycombe Racketball Open has been a great success each year and has attracted some top class racketball players. Follow this link for online entry. For more information, contact Mark Fuller at info@uk-racketball.com. 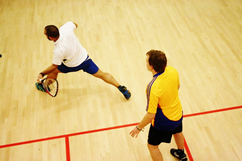 The Wycombe Racketball Open is one of the longest standing events in the Series. Click here to see the list of previous winners of this event. The club itself boasts five championship courts, a comfortable lounge and bar run by the members, for the members. Last year, food was very well priced and served throughout the day; with bacon rolls for breakfast, followed by sandwiches and meals from lunchtime onwards. The feedback from competitors last year was that the staff were friendly and helpful all day long, which certainly helped to make the day so successful and enjoyable for all competitors. There is also are large car park, making travelling by car easy. 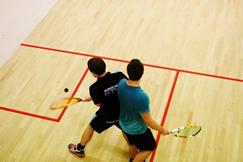 Wycombe Squash and Racketball Club is located on the outskirts of Wycombe and is very close to the M40.